Many parents despair of their child’s inability to play alone for any length of time, or the speed at which they get bored with toys. The biggest problem with most toys today is that their play appeal is limited. 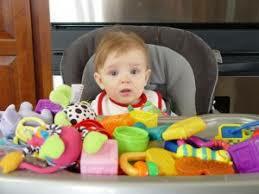 A shape sorter is just a shape sorter, put the shapes into the holes and the toy no longer offers interest. An entertainment centre loses appeal after the buttons have been pushed, the beads moved along and the xylophone chimed. Most toys have a specific design and a specific purpose. When the child bores of the set purpose, the toy no longer holds appeal for them. Once the function of the toy has been exhausted they cannot be used in other ways, or allow the child to use their imagination. As children grow, the over provision of toys can stifle their imaginations. The overwhelming choice of playthings offered to most children today is perhaps one of the worst curses of modern childhood. I often hear parents mutter “you should be grateful, you have so many toys, in my day I didn’t even have half the amount you had”. The parents however are the lucky ones. Although it can be hard to understand why for many. Their childhood was likely filled with the amazing games of make believe that their own children lack. Research, conducted by German researchers, found that removing toys from children results in them becoming not only more creative but more social too. In their experiment ‘Der Spielzeugfreie Kindergarten’ (“The Nursery Without Toys”), all toys were removed from children for a period of three months, the only items left were chairs and blankets. Initially they found that the children were bored, however they quickly re-adjusted and were soon building dens and enjoying the new set-up. By the end of the experimental period not only were the children playing imaginatively and creatively, but they were also more confident and social with each other with better interpersonal relationships and less friction and fighting between children. This led the researchers to claim that children can be “suffocated” by the presence of toys and also find it harder to concentrate when surrounded by toys. Cardboard boxes, so many possibilities, anything from spaceships to houses. Old handbags and purses, great to fill with treasures. Cornflour and water, makes a wonderfully intriguing gloopy blend. Mud, mud glorious mud! 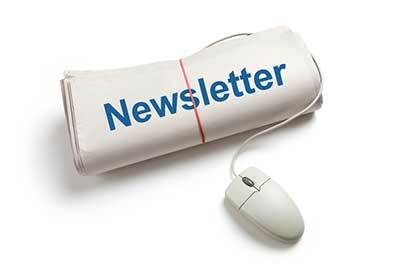 Mud pies, mud modelling, mud kitchens and more. Water, freeze toys in ice, ‘paint’ with it on pavements, make boats to float. Bubble wrap, put it on the floor and jump and roll on it. Plastic cups are great for stacking, pouring and scooping. Old phones and remote controls. Pressing buttons and pretending to control things. Old baby wipes boxes and tissue boxes. Great for ‘posting’ things and sorting. Finally, if you want to buy toys, look for some that are ‘open-ended’, that is – toys that don’t have a limited play value. See a list of my favourite toys, by age HERE. 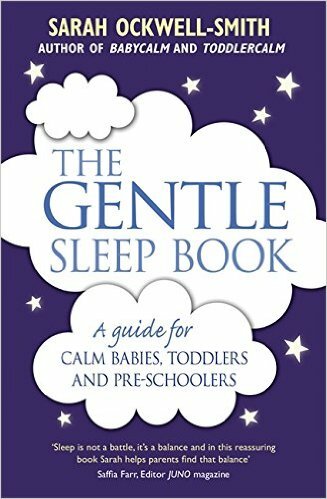 Do you have a slightly older child and struggle with their sleep? Sadly, ‘sleep problems’ are fairly common throughout childhood. The good news however, is that as children get older, night waking lessens dramatically. Most sleep problems in older childhood usually centre on bedtime resistance and early morning waking. Let’s look at the top six problems – and how to fix them! 1. Expectations has to top the list as the cause of most sleep problems in childhood. Unfortunately, there is a lot of incorrect information about sleep in society that unnecessarily scares parents. Parents are commonly worried that their children are not getting enough sleep, so try to encourage an earlier bedtime, however in many cases, this bedtime is at biological odds of what the child needs. At each age, there is a range of acceptability when it comes to the amount of sleep needed. For toddlers, the average range is 9-16hrs in a 24 hour period, for preschoolers, it’s 8-14 hours in a 24hour period, for 5-11 year olds it’s 7-13 hours in a 24 hour period and for teenagers, it’s 6 to 12 hours in a 24 hour period. If your child naturally needs less sleep, trying to make them take the higher end of average amount of hours of sleep is going to end in disaster. They will resist going to sleep, which makes them secrete cortisol (the stress hormone), which in turn inhibits melatonin (the sleep hormone) and ultimately they will end up going to sleep even later. The best thing parents can do is try to understand the true biological sleep needs at each age and make sure they are not trying to get their child to sleep for too long. 2. Time to reconnect: At the end of a busy day, when children are at school and haven’t seen you all day, they need time to reconnect with you. School and daycare can be very stressful to children. We know from research it takes around 2 hours for their cortisol levels to drop once they get home. When they get home, children need time to reconnect with you and to children – reconnection means playtime! The trouble here is that evenings in a family home are often rushed, with little time for play. We rush from activity to activity to dinner and then straight off to bed. Making time to actively play together as a family, for at least half an hour (but preferably an hour) before the bedtime routine begins has a dramatically positive effect on sleep for most families. 4. Poor bedtime routines. We all need bedtime routines, whatever age. Children need time to wind down and to have clear markers and boundaries at bedtime. A great routine would involve a bath, reading a book together and tucking up in bed and having an end of day chat, follow by an audiobook or a special kids relaxation recording (here’s mine in the UKor USA) Keeping the routine the same every day is really important. Families are often so busy now that bedtime routines get overlooked, but they’re really important. In fact, according to research, they are the most important predictor of child sleep. 5. 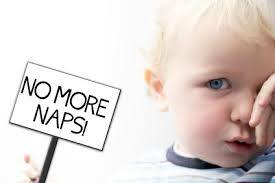 Diet: Iron deficiency, magnesium deficiency and Omega 3 (fatty acid) deficiency all negatively affect child sleep. Most children don’t consume enough iron rich food in their diet, ditto magnesium (you’re looking at red meat, dark leafy veg, dark chocolate, nuts, pulses and beans – not usually high in the light of what kids consume!) and research has shown that deficiencies cause sleep problems. Similarly Omega 3 deficiency has been linked to less sleep, difficulties falling asleep and more sleep disorders such as night terrors in children. They need to have at least two portions of oily fish (salmon,mackerel, herring, tuna) each week. if not, a daily supplement can be a good idea. Similarly, re. diet – there are a lot of myths out there – many parents avoid sugar because they think it causes hyperactivity and sleep problems – it doesn’t! It actually aids sleep (but I’m not advocating giving children sweets and sugary drinks, they’re bad for them for other reasons). The only foodstuff that can cause issues with sleep if eaten is caffeine – here, you’re really only talking high cocoa content chocolate, tea, coffee or caffeinated cola. 6. Screen exposure and lighting. Research has shown that being exposed to screens 2 hours before bed has a very negative impact on sleep. Even if it’s CBeebies bedtime hour! The programmes stimulate the brain too much and the screens release blue light which causes the brain to inhibit the release of melatonin, the sleep hormone. Turning off TVs, iPads and confiscating smart phones at least 2 hours before bedtime is vitally important and children should never have screens of any sort in their bedroom. Similarly, lighting matters at bedtime too. Most lights in children’s rooms are terrible for sleep. You should never use the main overhead light, or even a lamp with a regular bulb as these also secrete blue light which halts melatonin release. Especially if you use energy saving bulbs. Nightlights are usually bad news too. If your child has a nightlight that is white, blue, pink, green purple or even some shades of yellow (in terms of the light colour emitted), then get them out of the bedroom ASAP! These light sources all inhibit melatonin release and are like adding a giant sun to the child’s bedroom. Instead, look for a low blue-light lamp, or red light – you can find some here. Helping a child to feel loved unconditionally, regardless of their behavior or abilities, must always come first. You cannot increase a child’s self-esteem or confidence without starting from this point. Only when they feel loved by their parents for who they are can they begin to love themselves…. The key is in not trying to change your child but accepting them as they are— the good and the bad. Listen intently to everything they have to say and always be there for them. Help them to calm down when they are sad or angry and don’t ignore their behavior or the feelings behind it, no matter how tempted you are to do so. Last, don’t punish or shame them and don’t use exclusion from you— whether that’s being shut in their rooms, in time- out, or on the naughty step— as a way to handle undesirable behavior. When you do this, the message that you give to them is that you want to be around them only when they are “good.” In other words, there is a part of their personality that you really don’t like. The result? They begin to dislike themselves. Every time you swoop in and fix something for your child, whether resolving a sibling argument, completing a jigsaw puzzle, or helping with homework, you deprive your child of the ability to sort it out themselves. 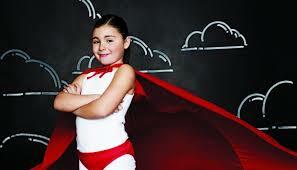 Giving your child some space to solve their own problems does wonders for increasing their self-esteem and confidence. If they think they can’t do something, help them to know that you trust that they can—“That looks really tricky; I have faith in you, though”— and to think critically and logically, knowing this is something they struggle to do alone. Asking questions is a great way to trigger their problem-solving ability: “Do you think that the shape you need has a straight side or a bobbly side?” Or, “Can you think of anything that would help here?” Each problem that your child solves as independently as possible will help to build their self-esteem and confidence. “Dear Mum, I really liked your note, thank you for writing it. It really made me smile. I’m pleased that you appreciated me helping you, I really enjoyed it too”. Occasionally, I have been known to write notes and pop them into their lunch boxes or school bags, particularly if they are feeling worried about something. In the same way that you should encourage children to solve their own problems, you also need to let them take care of their own needs as much as possible. If a task is age appropriate, allow them to complete it unaided, to make them feel capable and confident. Too many parents take on tasks for their children that they are capable of doing themselves. And each time they do so, they take away some of the confidence and self-esteem that accompany the sense of achievement and feelings of “I did it!” Giving children special responsibilities around the house or at school can help too. If your child struggles at school, asking their teachers to consider giving them a job, such as delivering the attendance record or collecting the mail, can make a big difference. Also, make sure that you do not force your own unfilled wishes and regrets onto your child. Allow them to choose their own activities and hobbies and their own life path as much as possible. If you wanted to take ballet classes when you were young, but for some reason didn’t, don’t force it on your child. They need to make their own choices and decisions, free from your influence, as often as they can. This is a short excerpt from my discipline book, published as ‘Gentle Discipline’ in the USA and Canada and ‘The Gentle Discipline Book’ in the UK, ROI, Australia, New Zealand and South Africa. You can buy the book in the UK, USA, Canada and elsewhere in the world. You know your child needs to go to the toilet; you watch them hopping from foot to foot, squeezing their legs together and making strange squirming faces. You ask them if they need to go? “NO!” they emphatically reply! Then two minutes later, a puddle appears on floor. Or, they run and mid dash, they have an accident. Why does this happen? and what can you do to stop it? Firstly, I’d like you to ask yourself a question. Do you ever push yourself and wait for longer than you should before you go to the toilet? Perhaps you’re engrossed in a TV show, or want to get to the end of the chapter in the book you’re reading. Perhaps you’re waiting to get through a meeting, or to finish a conversation you’re enjoying. Have you ever waited a bit too long? Perhaps you had a little leak, or perhaps you gave yourself stomach cramps from holding on for too long? What should you do? Actually I’m going to answer this with what you should NOT do! and that’s over-prompt! Young children get very frustrated with over-prompting, because they want (or should I say need!) more control over the process. On the one hand you’re encouraging them to listen to their body’s cues and go when they need to go and on the other you’re encouraging them to go before they feel they’re ready. Now – you and I know that they need to head to the potty before the last minute dash, but the child doesn’t yet. They currently thinks they’re going at the right time – when they REALLY feel they need to go. In time, they will learn that actually they need to go a little sooner than waiting for that last minute. They will soon learn the subtleties of listening for that gently ringing bell, rather than waiting for the blaring siren. That is something they really do need to learn for themselves though. As the weeks and months pass you’ll find children will start to take themselves off a little (and I mean a little!) sooner each time. As I’ve mentioned, over-prompting can really backfire though, so try to bite your tongue if you can and show your children a little more trust and faith. 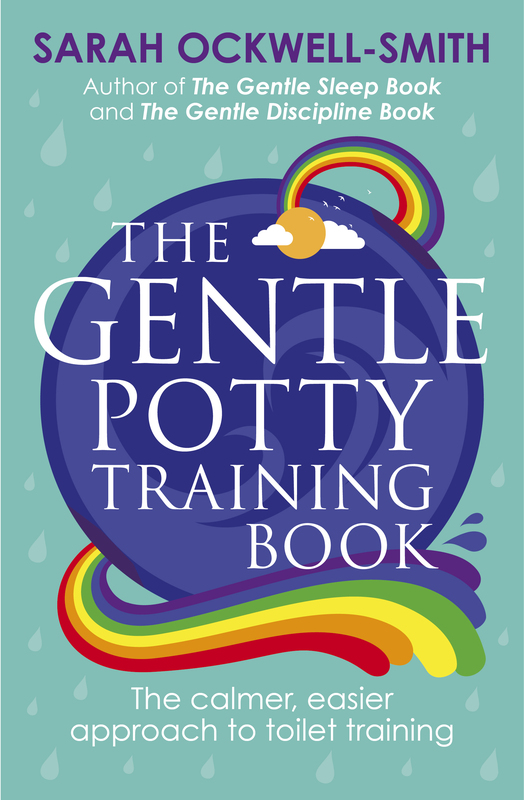 For more on potty training – including signs of readiness, how to prepare practically and emotionally, common hiccups along with way and how to copy with them, check out my gentle potty training book in the UK HERE, Australia and New Zealand HERE, the USA HERE, Canada HERE and the rest of the world HERE. An often asked, but almost impossible question to answer. I’m frequently questioned by parents who worry that their baby isn’t getting enough sleep. The simplest response would be “however much they need”, for sleep needs differ for each individual baby. Any recommendations given are simply that, recommendations and any trustworthy sources provide a rough guide rather than a fixed figure of hours or time. Most recommendations for amount of baby sleep required, including suggested bedtimes and length and amount of naps, are not evidence based. Most stem from personal opinion with some being more educated than others. Recent guidelines by the National Sleep Foundation provide a broad range in terms of sleep recommended at each age. During the first three months they indicate that anywhere between eleven and nineteen hours of total sleep per day *that includes naps and night sleep) may be acceptable. Between three and eleven months these figures change to a range between ten to eighteen hours in a twenty-four period (ie naps and night sleep combined). At twelve months the range of acceptability falls to between nine and sixteen hours total sleep in a twenty four hour period. What is not made explicitly clear is that these figures incorporate both night-time and daytime sleep combined. A baby who sleeps for eleven hours per night at the age of three months may only take two very short naps, perhaps each totalling thirty minutes and they would still fall within the range of acceptability in terms of total sleep per twenty four hour period. Similarly a six month old taking two naps of one and a half hours each may only sleep at night for a total of seven hours and will still fall within the realms of normality. Recent research has recently questioned the importance of paediatric sleep guidelines. Researchers from The Murdoch Children’s Research Institute in Australia studied the sleep patterns of four thousand children and believe that associations between mental and physical health and well-being and sleep are overrated. The study found inconsistency between the amount of sleep a child received and their well-being levels and those of their parents, concluding that guidelines for specific amounts of sleep at each may not be necessary or useful. These responses fit very much with the commonly held expectation in society that most babies should sleep through the night by six months of age. Research findings however paint a very different picture. At the age of three months research has found that almost forty seven percent of babies wake three to four times at night. At six months of age research has shown that eighty four percent of babies are still waking at night at least once. At twelve months of age research has found that fifty percent of babies still need parental help to get back to sleep when they wake in the night. These percentages are likely to be underestimated in most cases too, as the large majority of research into infant sleep patterns relies on parent reporting of night waking. Knowing that all babies wake at least once per hour it is likely that what the parents are actually reporting is when their babies were crying for their attention during the night. Once again the question that needs to be asked is “are baby sleep problems actually adult problems?”. If evidence based expectations of baby sleep were universally adopted it would be easy to see that what is expected of baby sleep in our society today is unrealistic. 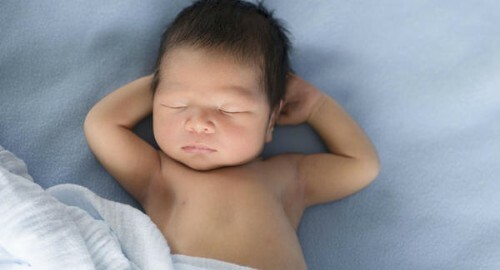 If expectations are adjusted then it becomes clearly apparent that what many feel are baby ‘sleep problems’ are really, just babies sleeping normally! If you would like to learn more about the science and norms of baby sleep – check out my Why Your Baby’s Sleep Matters in the UK, USA and Rest of the World. I’m often asked how to encourage introverted children to be more sociable and to join in with other children when it comes to play. However, I believe that this common worry is usually unfounded. In my experience, this anxiety tends to highlight more about the parent’s concerns and feelings, than those belonging to the child. Most often, this question comes from parents who are naturally extroverted, who are flummoxed by raising an introverted child. Parents should try really hard not to transpose their own fears and feelings onto their children. I tend to find those who struggle the most are parents who are naturally very extroverted, the life and soul of the party with a wide circle of friends, who are raising naturally introverted children who prefer to play alone, or with just one close friend. This is especially true if your child has not yet started school. Kids under the age of four will often engage in parallel play. That’s when two kids may be in the same room playing in proximity to each other, but really playing alone—like two adults sitting at the same table, but each staring at their phones, engaged in their own thoughts and activities. Parallel play is crucial, because it’s how children socialise before their sense of social etiquette kicks in. Children begin to understand that not everybody thinks and feels the same way, but before that, when they are incredibly egocentric, a young child will believe that the toy they are playing with is theirs—even if it isn’t and others want to play with it too. This is why some toddlers can seem so antisocial. It isn’t a problem though, it’s just normal development! Some children genuinely prefer to play alone. I was one of these children. I’m naturally very introverted. My mother was a natural extrovert and I don’t think she every really understood me in that sense. She needed to be around people. I needed to be alone sometimes. I was happy to spend hours amusing myself, which I think my mother saw as a character flaw that needed to be ‘fixed’. She often spoke with me about being more sociable, joining in more and making more friends. I didn’t feel the need to do any of these things, but, in time, I did start to wonder if there was something wrong with me because I didn’t. As a teen, I questioned if my introversion (or what was labelled as me being ‘shy’) was a problem and something that I needed to change. This made a huge dent in my self esteem. As an adult, I’m still happiest in my own company, but now I’m fully at ease with being an introvert too. I enjoy socialising with others, but I love to get back home and be alone after and that’s OK, because we’re all different. Introversion isn’t a flaw. Extroversion shouldn’t be the goal, at any age. Ultimately I think the key is in making sure your child is happy. If they are distressed at not joining in with others, then absolutely it’s time to do something (but forcing the issues is never the solution). In this instance I’d find some social groups, with activities the child enjoys, and invite a child they seem to favour a little more than others around for a no-fuss playdate, with the child’s carer. Here, it can be good to do an activity together, like visit a soft-play park, so that the emphasis is not on the child needing to initiate play. Sometimes children need work on their self-confidence too (something I’ve discussed lots in my ‘Gentle Discipline’ book). 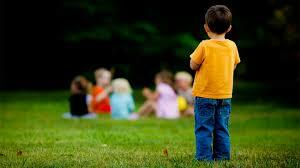 Is Being a Loner a Sign of Other Problems? Difficulty with social relationships can be an indicator of an Autism Spectrum Disorder and children with other special education needs, such as ADHD, may struggle to form relationships with their peers. If you feel that your child may potentially have a special educational need, then a visit with your family doctor is a good idea. In most cases though, in my experience, the issue is more adults expecting children to behave like adults. Or more specifically, like them! Frustration (that they can’t have something or do something, or perhaps because they are being made to do something they don’t want to do). Feeling unhappy, sad or insecure (perhaps after the arrival of a new sibling, a house move or starting preschool). Brain immaturity and a lack of impulse control. Brain immaturity and the inability to regular their big emotions. Brain immaturity and the inability to understand the consequences of their behaviour. Brain immaturity and the lack of developed empathy. They can’t cope with an invasion of their personal space. They are not getting enough exercise, physical or messy play. A need for adult attention and connection. They simply enjoy the physical sensations, particularly true of biting. Their parenting is too strict, authoritarian and controlling. They are modelling the behaviour of their parent, or that of another adult or child, close to them. The easiest way to deal with hitting, biting, shoving and throwing is to look for the cause of the behaviour. Once you identify triggers, a good first step is to try to avoid these as much as possible. Importantly consider any emotional cues. By re-connecting with your child and spending more time playing, rough-housing and enjoying fun ‘special time’, these unwanted behaviours usually dramatically lessen. Giving your child more control over their daily activities, choices and self care also helps hugely too. Come up with a strategy to help ‘in the moment’. The first step, and indeed the key here, is you. Your reactions and your behaviour when your child is behaving violently are perhaps the most important predictors of whether you will be able to extinguish the behaviour. Remember you are modelling to your child the behaviour you want to see from them, which means you need to be calm, kind and respectful at all times. If you yell, spank, put the child in time out or on the naughty step you run the risk of perpetuating this cycle of behaviour for years to come. The key is to put a big space between your child’s action and your reaction. Once you have taken time to calm yourself, it is time to respond to your child with your full attention. Put the phone down, abandon your conversation or shopping temporarily and focus on your child and nothing else. At this point it’s also time to keep them, you and anybody else in the situation safe too by moving away from roads and dangerous objects. Calmly and simply tell your child what they have done wrong and why. You could say “You mustn’t hit Johnny, it hurts him and now he’s crying”, “Owwww, you bit me, that really hurts, we don’t bite people” or “Stop – you mustn’t throw toy cars in the house, they will break something”. Next, help your child to understand and name their feelings. “I can see you didn’t like it when he hugged you and it’s OK to be angry, but you mustn’t hit people”, “Did it feel good to bite me? Are your teeth hurting?” or “Are you bored with being in here?”. After this, help your child to find an alternative, more acceptable solution. You could say “you can come and hit this cushion if you want to?”, “How about I give you an apple to bite into?” or “”Shall we go in the garden so you can throw your ball around?”. It is important to realise however that responding gently won’t elicit a magic response or prevent your child from acting in the same way the very next day. Until their brain matures you can expect lots more similar behaviour. In time, with consistent (and I cannot emphasise how important that consistency is) responses your child will learn and in time the behaviour will cease. This could take weeks, months or even years. There are really only three things that really eliminate these totally normal behaviours once and for all: time, patience and understanding. The last two you need by the bucket load. 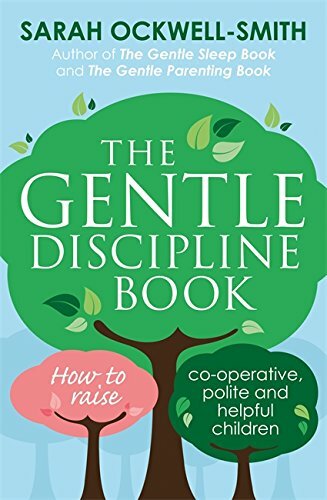 If this has piqued your interest and you’d like to learn more about gentle, but effective, discipline; check out my Gentle Discipline Book – available HERE in the UK, HERE in the USA, HERE in Canada, HERE in Australia/New Zealand and HERE in the rest of the world. My firstborn refused any food in a sauce as soon as he hit toddlerhood, eschewing wet food for the accompanying dry breadsticks, crackers and toast at all opportunities. To this day, only one out of four of my children will eat mushrooms, not because of the taste of them, but the texture. Apparently, they are “all squidgy” and make their teeth feel funny. I initially thought this was a strange quirk of my family until I realised how many others, not just children but adults too, shared their mushroom disdain. Research into the eating habits of toddlers and pre-schoolers has found that the texture of food affects picky eating significantly more than colour or taste. Further research has found a strong link between the sensory processing characteristics of children and the food that they eat, or rather don’t eat. For those children who do not have specific Sensory Processing Disorder, I wonder if this shunning of wet, slimy and squelchy foods in favour of their ‘safe’ dry counterparts is because of the way we speak about different textures as adults. The very words slimy and squelchy conjure images of smelly green goo, snail trails, dirty mud and so on. They are words used to describe monsters and aliens and other unpleasant creatures. We often warn our children not to touch something because it is ‘yucky’, when in fact we are referring to slimy, sticky, gooey textures. Many parents can unconsciously pass on a fear of dirt to their children by constantly wiping their faces, or hands, whether it is to clean them of snot, ketchup, chocolate or mud. Our dislike of certain textures and the dirtiness and negativity associated with them must surely rub off on our children. Is this perhaps why so many avoid similar textures when it comes to eating? For children who struggle with the sensory aspects of eating, especially foods that are slimy, mushy and gooey, incorporating more messy play into their days, focussing on the sensations that they struggle with, can have a positive effect on their food acceptance. Research has shown that sensory play with real fruits and vegetables can have a positive impact on the fruit and vegetable consumption of children. The experiment, conducted with three and four year olds, found that children who played with fruit and vegetables in a messy play session tried significantly more fruit and vegetables than children in the experiment who had not played with any. This finding did not only prove true for the specific fruit and vegetables that they had played with in the messy play session, but also those that they hadn’t. For children who struggle with getting messy, and often avoid ‘messy foods’ as a result, parents should also focus on their own actions. Parents who are overly clean can unconsciously pass on a fear of ‘mess’ to their children. If you make a dash for the baby wipes as soon as your toddler puts their hands in their food, or manages to get as much of what they are eating on their face as in their mouth, then there is a chance that you are causing your child to become anxious about making a mess with food. In turn, this may cause picky eating, especially surrounding food with messier textures. If you can identify yourself in this, try to find a way to keep the baby wipes in the packet and postpone the handwashing. When you do clean up your child, be careful to not use words like messy, or mucky, instead you could say something like “wow, you look like you enjoyed that!”. 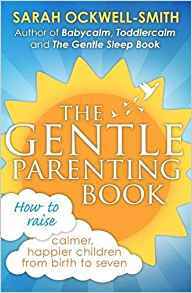 For more on coping with tricky eating in childhood, from birth to 18yrs, and how to raise a child with a healthy relationship with food – and their body – check out my Gentle Eating Book in the UK and rest of the world. 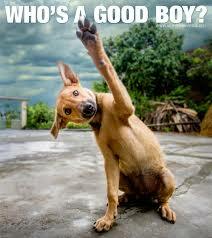 Why Saying “Good Boy” or “Good Girl” Is Not a Good Thing! How many times have you told your child “well done”, “good boy” or “good girl”? Have you ever said it without being fully present and focusing solely on your child? A good way to imagine how this feels for a child is to think about a work appraisal. Imagine that you are having your annual appraisal at work and in the run up to it you have been working as hard as you can on a project, giving it your all. You have sacrificed personal time and have put in over and above your contracted hours. You are really proud of the results that you have achieved and even prouder that you stuck it out and didn’t give up when the going was really tough and you questioned your abilities. Now think about that appraisal again and imagine your boss nods and says “well done, good girl” while looking at a computer screen. How would you feel? Valued? Respected? Noticed? Imagine the same appraisal and this time your boss says “I must admit I was really proud of all of the work you put into that project. Your extra time and efforts really didn’t go unnoticed. I noticed that you took work home with you and noticed that you came in early. I also noticed that you stuck it out when things got tough”. How would that make you feel? What does it mean to a child when we say “good boy”? Do they know what ‘good’ means? Do they know what they did to make you happy? What about when we say “well done”? Well done for what? What about if they haven’t done something, but have persevered for hours, ‘failing’ each time at the task in hand, be that tying a shoelace, putting a shape in a shape sorter or building a tower of blocks. Is there effort not worth anything? Most praise used by parents is incredibly shallow and superficial. It focuses on outcomes and not efforts and doesn’t tell the child anything about what they have done, what they should do or how they have made others feel. Praise needs to be specific. Instead of “well done” say “I noticed that you’ve been building that tower for ages. It took you a long time to finally be able to make the blocks stay upright didn’t it?”. Praise needs to show your child that you’re interested in what they do. “Tell me about the picture that you’ve just painted. What made you paint the cat orange?” instead of “That’s a lovely picture darling”. Praise needs to be effort, not outcome focussed. “Tying shoelaces is hard isn’t it? You’re working so hard to learn how to do it, you’ll get there in time” rather than “well done, you did it” finally when the outcome is achieved. If this has piqued your interest and you’d like to learn more about the impact of praise on children, or what to say to raise them with intrinsic motivation and self-esteem, check out my Gentle Discipline Book – available HERE in the UK, HERE in the USA, HERE in Canada, HERE in Australia/New Zealand and HERE in the rest of the world.